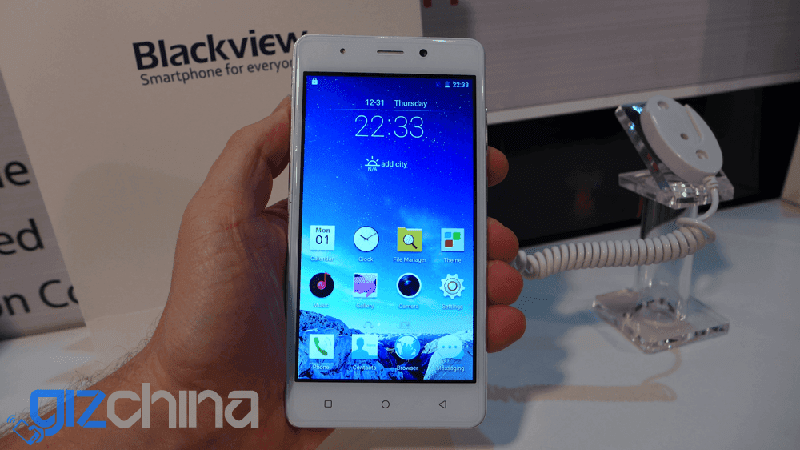 While the eyes of almost everyone is on the big boys of the mobile industry in this 2016 edition of the MWC, small companies like Blackview are proving their worth on being a part of that prestigious event. They just announced several handsets that should please individuals that doesn't have the cash to spend for the mainstream high-end brands while still giving good performance. One of those offerings is the Blackview A88, a phone with metal frame and a surprising camera sensor for the price! The Blackview A8 features a 5 inch HD screen at 1280 x 720 resolution, runs on MediaTek's MT6580 quad core processor, has 1 GB of RAM, 8 GB of expandable ROM and 2,000 mAh of battery capacity. It also has WiFi, 3G and Bluetooth connectivity on Android 5.1 Lollipop OS. While those configurations won't really put much wow, Blackview incorporated the same camera sensor of the iPhone 5S at 8 MP at the back with LED flash and an unknown another 8 MP camera sensor in front. The best part of this phone is the price, you'll get a phone with that level of camera for USD 43 only! Then if you want to add jewels in the frame, just add USD 1 to your purchase. Now those traits makes this phone shine in the budget category. Now let's hope that Blackview will bring this device soon in the Philippines.